Grahame has been in touch with the latest from First's Caister Road depot which is that President 32208 has been withdrawn. 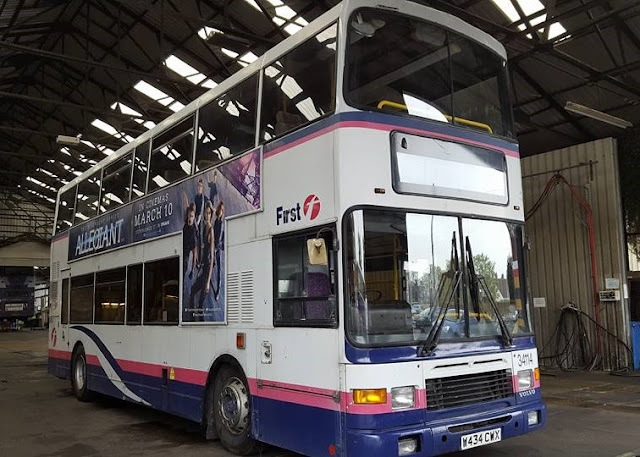 LT52WTO has been moved to Norwich for storage before transfer elsewhere within the First Group. I hope you will join me in wishing him well and hope that it won't be too long before he is back to his usual self with his general banter!! So during yesterday afternoon I had a wander along the diversion route to get the odd photo or two of buses working away from their usual haunts - plus I got some surprises as a bonus! A couple of Belle Coaches were seen on school duties prior to me being taken unaware by the passing of Volvo driver trainer 20122 P732NVG - I was not quick enough to get a photo! Another couple of surprises lay in store when I arrived on Beccles Road. Whilst I was quick enough to get a photo of Anglianbus East Lancs Lolyne bodied Trident T812RFG on the 61 to Market Gates, I missed a photo opportunity of on loan First Norwich Gemini 36180 BD11CDZ on the 7 travelling in the opposite direction. You can't win them all can you! John tells me that 'SPW999, a Bedford SBG Duple Vega, has turned up after twenty five years and is still in Norfolk. 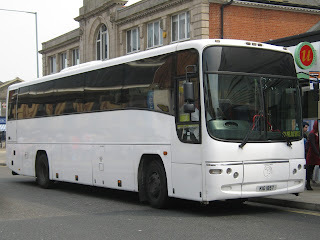 The coach was new to Babbage trading as Green Grey of Cromer in 1955. It went to Reynolds of Caister in April 1962 and in circa 1991 was sold to a private owner near North Walsham. It has been barn stored since and has not appeared on PSVC preserved lists'. You may remember reference to the presence of First Training Bus 32052 X578RJW with the photo taken of the rear of the bus from some distance away. Due to the popularity of the new 15 minute frequency and fast X2 journeys, introduced last December, First are making some minor adjustments to timings on these services to help keep buses on time during the busy summer period. 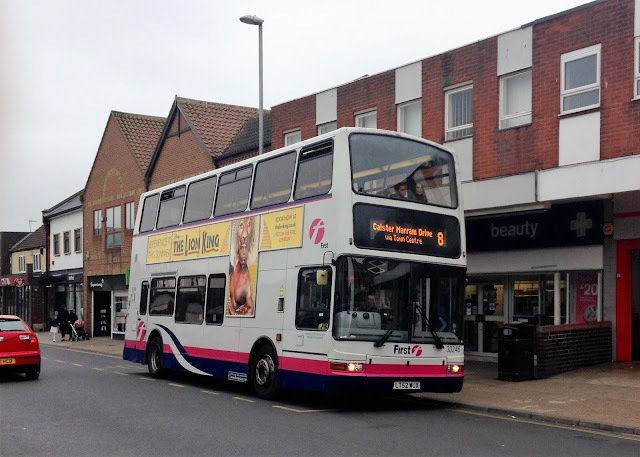 All X22 journeys will depart Lowestoft 5 minutes earlier and be given extra time between Lowestoft and Beccles. The 0600 X2 from Lowestoft to Norwich will now leave at 0555 due to frequent passenger requests.and there are some minor timing changes to other journeys. However, the 0645 X22 Beccles to Lowestoft (Monday to Friday), 1820 X22 Lowestoft to Carlton Colville (Monday to Saturday) and 2315 X2 Lowestoft to Beccles (Monday to Friday) will no longer operate due to low passenger numbers. 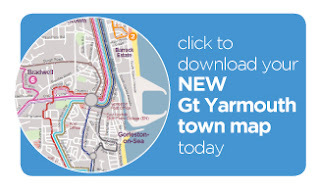 You can download the new X2 & X22 timetable, map & guide as a PDF here. For the summer holiday season, the popular service 99 is being extended to Southwold, travelling direct via the Coast Road. 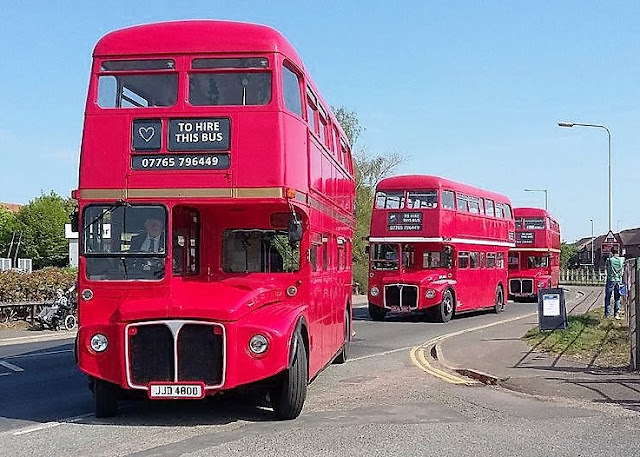 Buses to and from Southwold will run approximately once an hour, and will travel via the Kessingland 'loop' (Field Lane, Wash Lane and Africa Alive) in both directions. In Southwold, buses will serve the town centre stops at Kings Head PH, and Southwold Pier. First Eastern Counties has published a press release about changes to its services throughout Great Yarmouth from Sunday 29th May 2016. First says the changes are as a result of passenger feedback and to reflect changes in demand and in the light of new developments in the area. 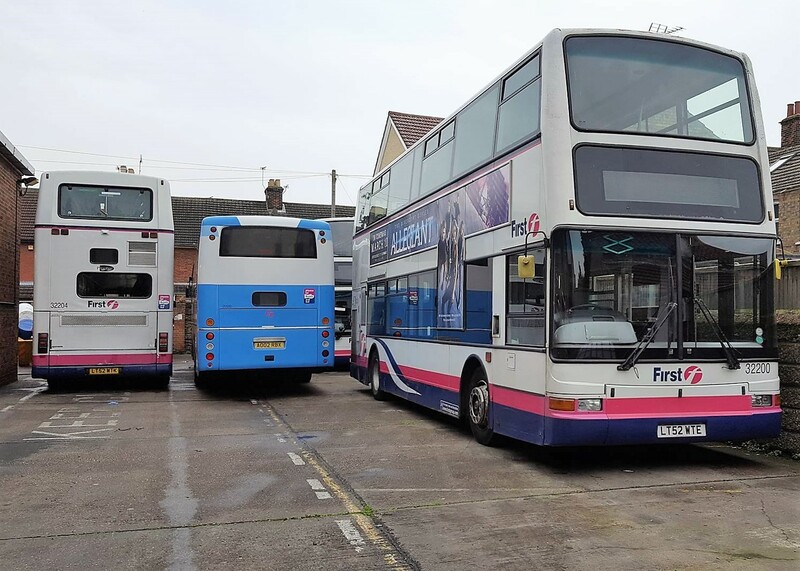 As part of these changes, First has had to make a difficult decision in reducing the number of routes that operate cross-town to make services more punctual and reliable for the majority of passengers. Where cross-town links still exist, extra time has been added to allow for delays caused by traffic along the route. A new easy to read printed timetable leaflet and route guide has been published,which contains all the information that you’ll need to know to use any of the services. You can get your copy from any of the usual outlets, including libraries and Tourist Information Centres or you can download or print out your own PDF version. 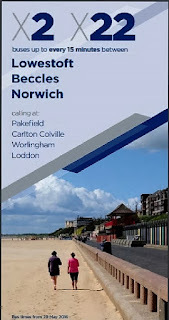 This leaflet covers all of First's routes within the town apart from those to Norwich (X1 & X11) or along the east coast (1 & 1A) which have their own dedicated booklets, which you can also get from any of the places above or you can download and print out your own copy by clicking on the red text above. First Eastern Counties supported the event by sending along one of the new First Norwich Streetdecks. However, not one of the pink ones but one of the duo in standard First livery - namely 35200 SK16GVZ. 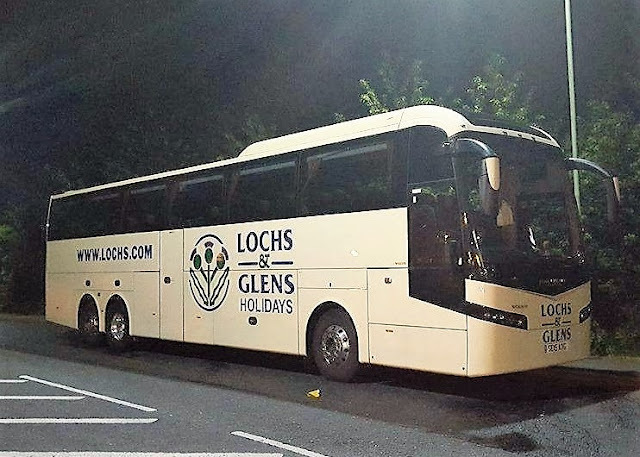 It contains little of interest regarding changes to local bus services apart from the withdrawal of an application for a new licence by Don't Travel Empty Limited. 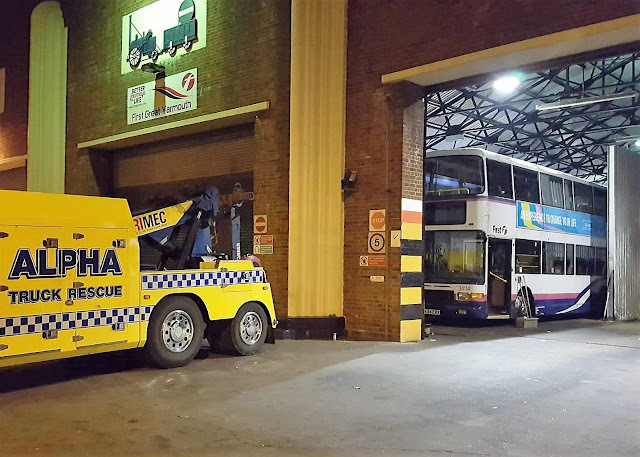 The submission was for a a two vehicle operating centre at Laundry Loke in North Walsham. 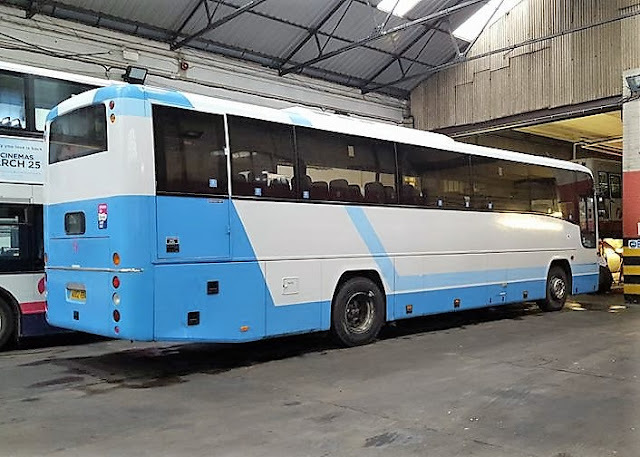 Following on from my previous report, it appears that the last Volvo Olympian at Caister Road will not remain at the depot on its own for very long. The last one active, 34111 W431CWX was collected by Alpha Recovery this morning. I thought that the end of its active life with First would come last year following its withdrawal in late December. However, that was not to be as 34111 was resurrected early in the new year for further Bernard Matthews' contract work. It subsequently faltered on a few occasions during January before being finally condemned in the following month with a twisted chassis. As a well known football pundit is known to say - 'unbelievable Jeff'. I was surprised there was only one vehicle present and that was from Dereham - Dereham Coachways Volvo B12B/Van Hool Alizee YJ06GLF in fact! After some sustenance, I decided to travel on one of the trains for Hoe - as it was part of the line I hadn't been on during the heritage period. Although I had been on specials to Fakenham in British Rail days!